Paris, the gastronomical capital of the world, abounds in fine dine restaurants, boulevard cafes, and quaint eateries. The tradition of cafes and restaurants dates long back, with Le Procope being the oldest restaurant in Paris. Located in the heart of the Saint-Germain des Prés district, Le Procope was founded in 1686. Le Procope first started as a café where gentlemen of fashion would come for a drink of coffee or to eat a sorbet served up in porcelain cups. 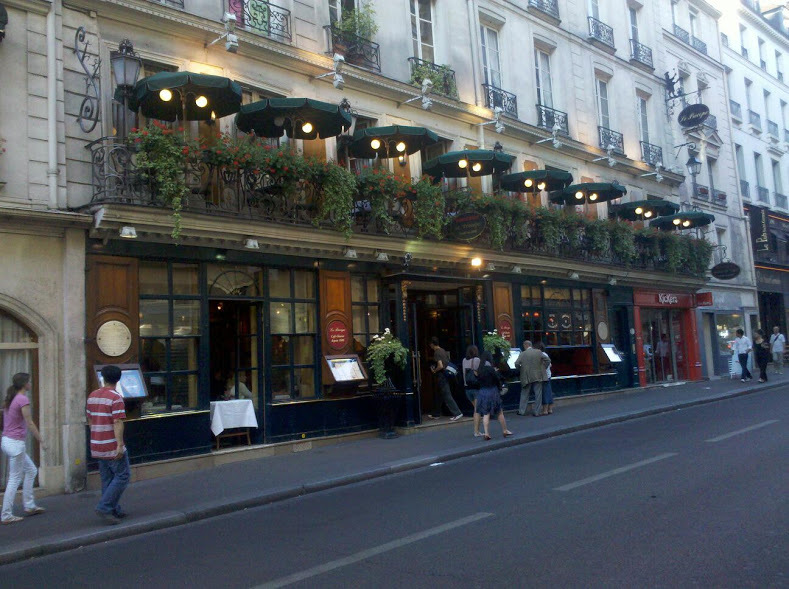 Gradually, Le Procope became the favorite hang-out place of the French literary giants for centuries. According to sources, writers such as La Fontaine, Voltaire, Rousseau, Balzac, and Beaumarchais were all regulars at the café. In fact Voltaire was so captivated by the spirit and the increasingly democratic mix at the Le Procope café that his writings are seen to reflect the ambience of the café at that time. Le Procope is famous for seafood, which is prepared using special house-recipes of the restaurant. You can also enjoy the original taste of the traditional French cuisine, such as “Foie Gras Frais de Canard Chutney à l’Abricot, Panettone Toasté”, “Grosses Gambas Plancha Riz Parfumé au Curry”, “Côte de Veau Rôtie en Douceur, Parfumée à la Sauge, Pomme Purée Maison”, and “Millefeuille à la Vanille Bourbon”. The décor at le Procope is a luxurious one, with crystal chandeliers, Pompeian red walls, huge oval mirrors adorning the walls, 18th century oval portraits of prominent people that have been patrons, and a grand old piano. The waiters were dressed in quasi-revolutionary uniforms. The air-conditioned restaurant is open, from 11.30 am to 1.00 pm, all days of the week, and some of the public holidays as well. To make you comfortable, the restaurant offers valet parking, allows you to take your pets, has rooms for hire, provides private reception rooms, and accepts groups. You can relax with a drink at the bar, get the menu in English, and pay using a variety of credit cards which are accepted. You can even enjoy one of the Special Evenings right at the cafe- may be a dinner-show that includes a play or show of your choice and a special “Theatre” menu served in the restaurant. Le Procope has maintained the aura of being the oldest cafe in Paris and is a charming place with a very old world look and feel which allures each and every guest!! This entry was posted in Uncategorized and tagged Café de la Paix, Eiffel Tower, hotels in Paris, National Museum of Modern Art, Paris hotels, Paris restaurants, River Seine, trip to Paris. Bookmark the permalink.